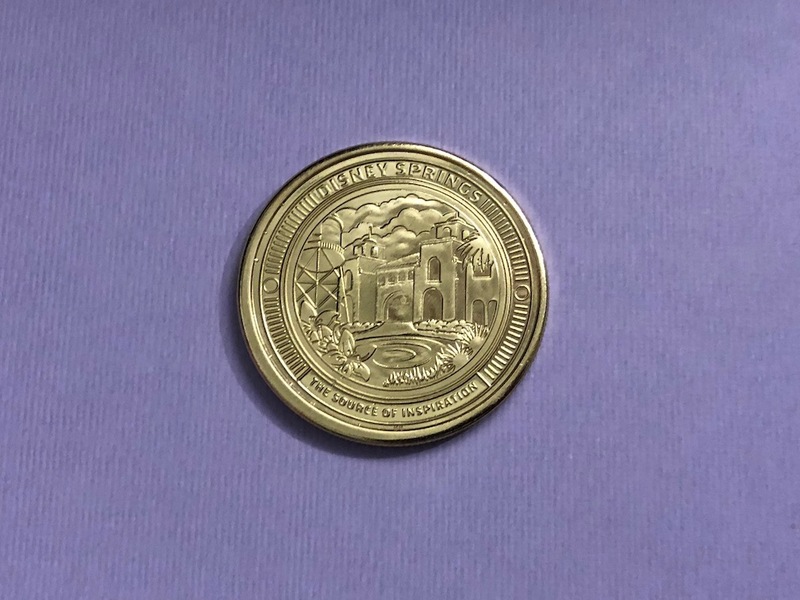 This is not quite pressed penny related, and I’ve mentioned in the past that I don’t usually collect the Medallions that are found at zoos and theme parks. 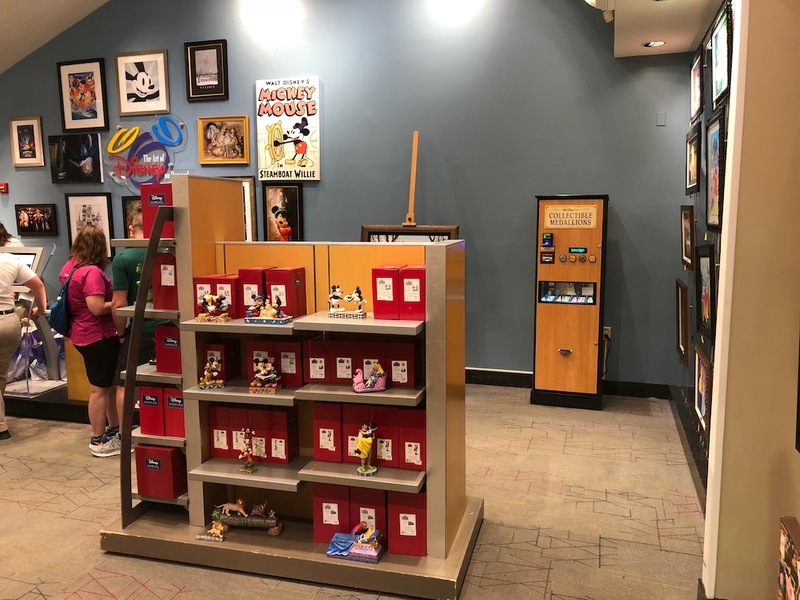 But just released in the last couple days was the first Disney themed Collectible Medallion machine. I couldn’t resist so I raced over to Disney Springs to check it out and get a set for myself to investigate this new possible collectible. 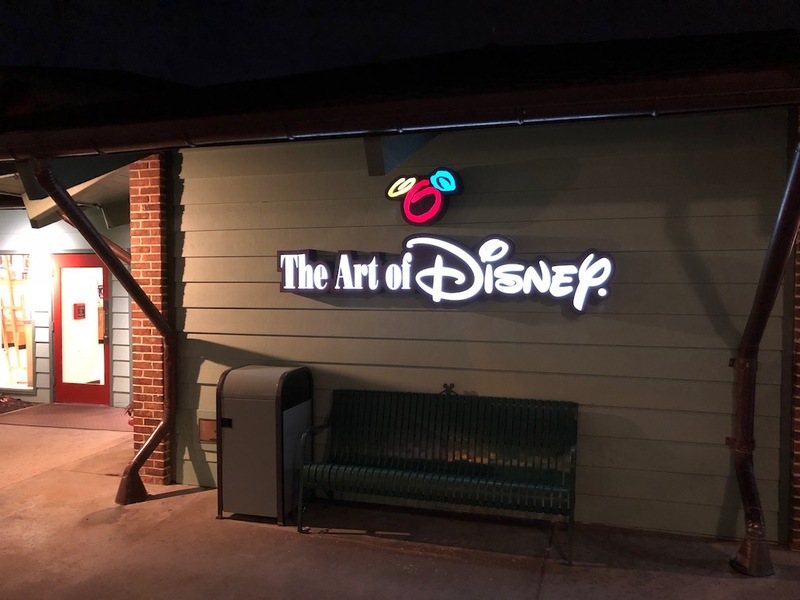 In the Marketplace area of Disney Springs just beside the Rainforest Cafe and Days of Christmas gift shop is The Art of Disney store. I visit this location almost every time I’m in this area as it’s filled with things I can only hope to own some day. 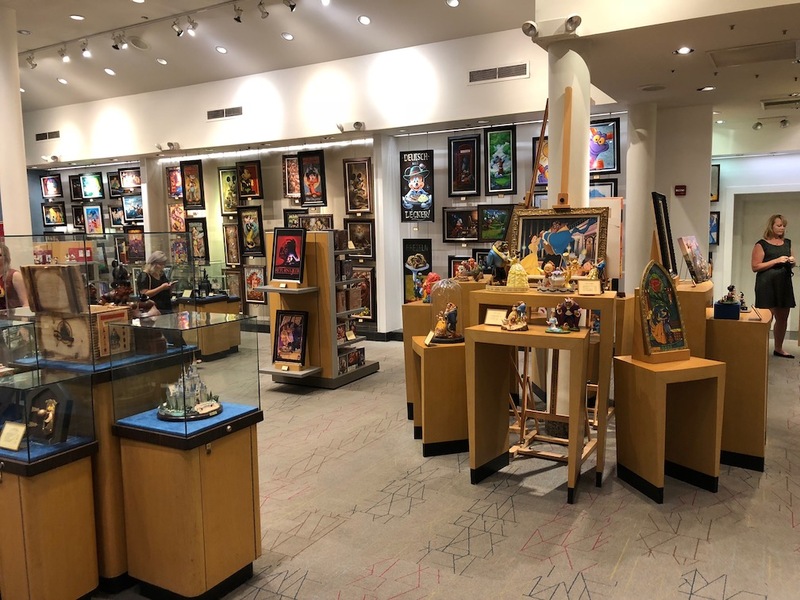 The items found inside range from paintings, to sketches, figurines, prints and a whole lot more. The selection is always changing so you never know what you may find inside. 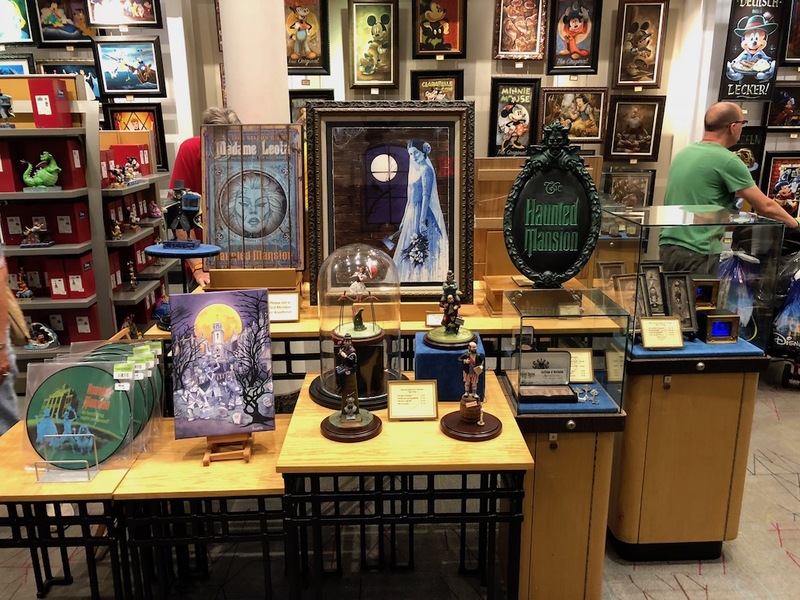 They also usually have quite a nice selection of Haunted Mansion items that I have been slowly acquiring whenever I can. In the back corner past the huge wall of art work is where I found the Souvenirs Medallion machine. Since these are not pressed the inner works are pretty simple. All the medallions are already pre-loaded and just drop into the collection cup at the bottom. The biggest difference you may notice is the cost, these are pretty expensive. They are $5 for one medallion, or you can get 3 for $10. So for those math majors out there if you wanted to get all 4 designs it will run you $15. Similar to the 8-design press penny machines you can use cash, a credit card or ApplePay. However, if you are using a Credit Card or ApplePay those payment types are only available for the 3 designs $10 option. 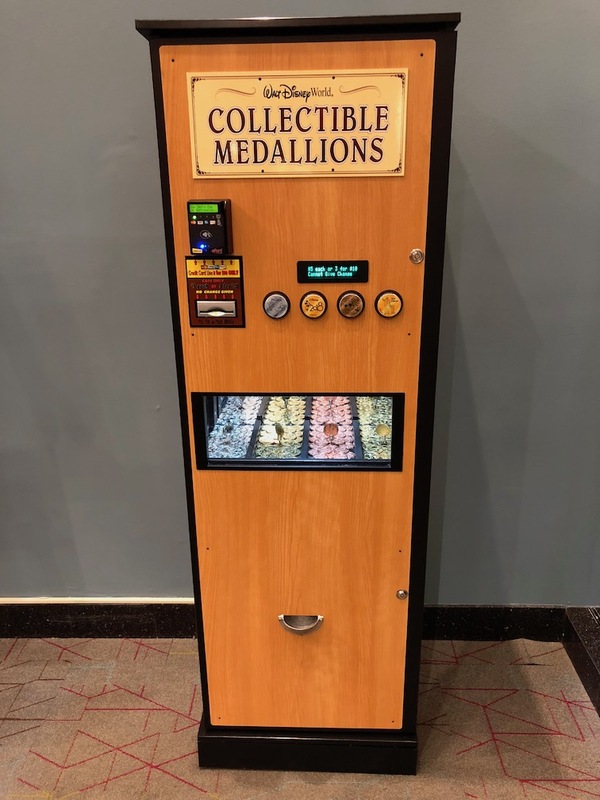 Individual medallions have to be paid for with cash and the machine does not offer change. Above are the 4 designs that are currently available. There is a 2018 Mickey, the Partners Statue (Walt & Mickey), the Fab Five (Mickey, Minnie, Donald, Goofy, Pluto), and the Frozen sisters Anne, Elsa and their snowman buddy Olaf. 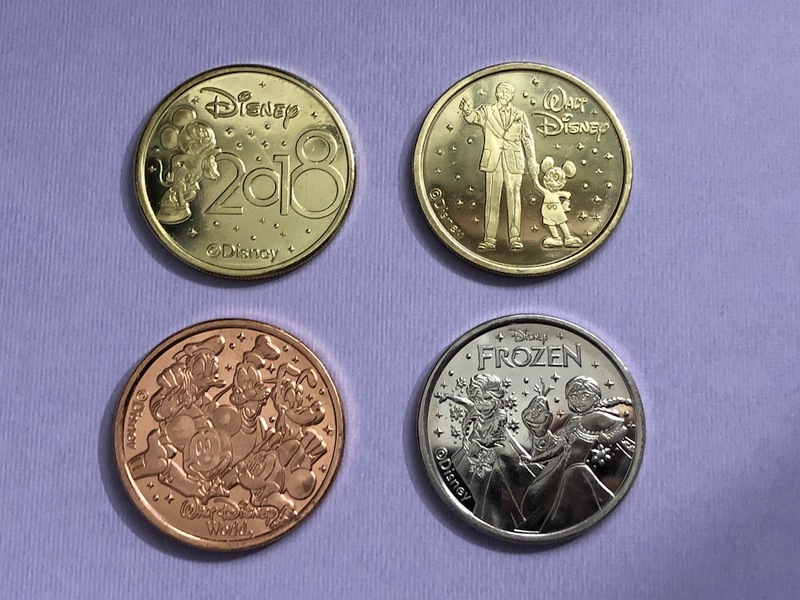 You may notice the first design of 2018 Mickey is the same image that was released earlier this year as part of the 2018 Dated Set of pressed coins. Above is a picture of the medallion next to the pressed quarter and pressed penny for comparison. 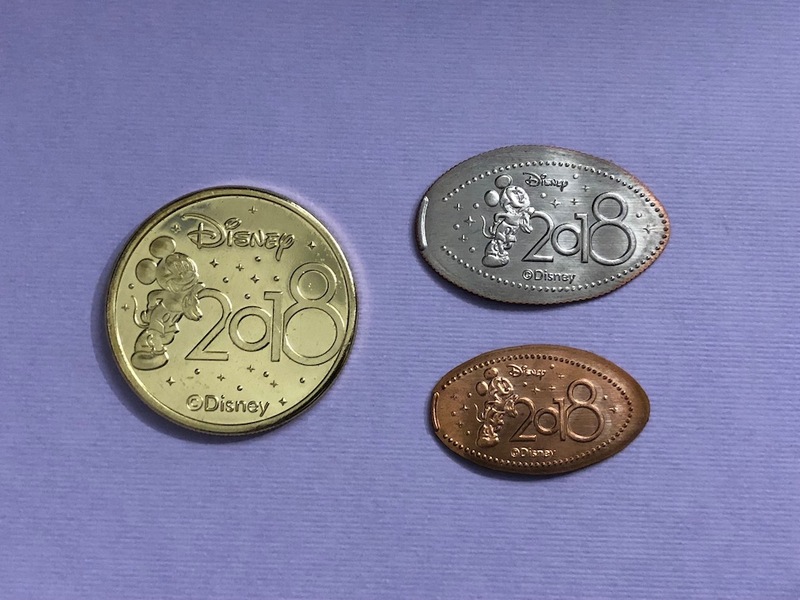 Another nice feature of these medallions is that the back of all the coins has the Disney Springs logo. These are a fun new collectible but I’m still not really sold on the cost. These coins are roughly the size and weight of a US Silver Dollar so they do have some heft to them, and I’m sure the manufacturing cost is higher. But $15 for 4 medallions is still a bit steep especially if some of the designs are going to be duplicates of pressed pennies or quarters I may have already collected. 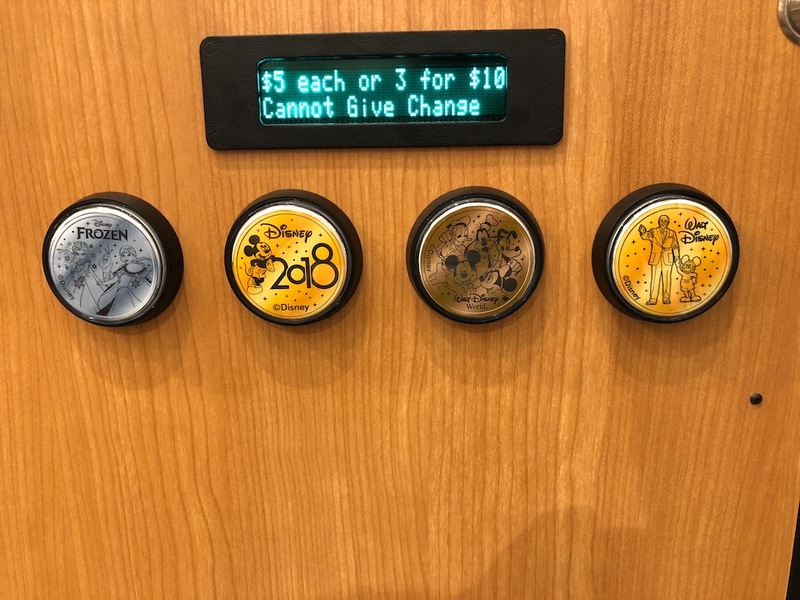 I’ll be curious to see if any more of these machines appear around the parks or any of the resorts.